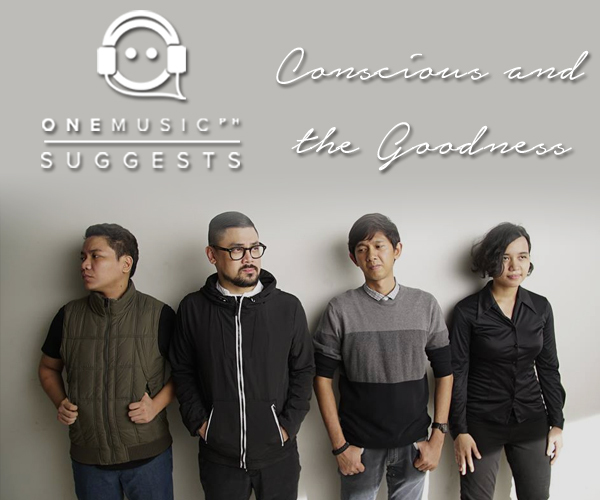 #OneMusicSuggests: "Lambing" by Conscious and the Goodness! After winning two Awit Awards (Best Jazz Recording and Best Musical Arrangement) for their second single “Pero,” a new track from Conscious and the Goodness has definitely been much-anticipated by fans and colleagues alike. Thankfully, it comes to us now in the form of “Lambing,” a smooth, groovy track that definitely lives up to its name. Previously known as Mike’s Apartment, Conscious and the Goodness is composed of vocalist Mike Constantino, drummer Tedmark Cruz, bassist Yuna Reguerra, and keyboardist Jesser Sison. Since forming in 2005, Conscious and the Goodness has long been a proponent of Filipino soul music, and have indeed represented the country at shows across Asia. Most recently, they were chosen to participate in The Esplanade Singapore’s Jazz in July 2016, a festival in Singapore that featured some of the best jazz bands and artists from all over the region. They released “Lambing” at Route 196 on March 23, supported by an expertly curated line-up composed of Asch x Value Meal, Assembly Generals, Banna Harbera, and the Espasouls. Alongside the single launch, Conscious and the Goodness also released new, limited edition versions of the band’s merchandise including caps, shirts, and sticker packs. For gig schedules and more updates, check out their official Facebook page HERE. What do you think of Conscious and the Goodness’ latest single? Let us know in the comments below!